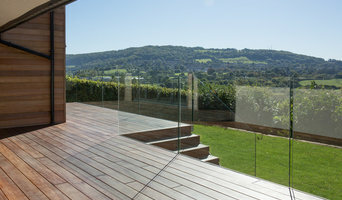 For over 20 years, Bespoke Frameless have been installing stunning bespoke glass across the South West of England. Whether you require glass balustrades, shower enclosures or impressive walk on floor glass, you can be assured of top quality products at a competitive price. We offer an extensive product and service range for domestic, commercial and business properties throughout Bristol, Bath, and Gloucestershire, as well as the surrounding counties of Avon. Our expert team pride themselves on skill and efficiency with an eye for perfection. We promise highly affordable rates with the promise of guaranteed work and total customer satisfaction. Astons Conservatories, Windows and Doors is proud to offer a superb glaziers service to clients in Cardiff and South and East Wales. We use only the best products from reputable manufacturers to build you beautiful bespoke conservatories and fit windows and doors to exactly your specifications. Our high standards of workmanship, reliable services, and competitive prices, make us one of Cardiff’s and South East Wales' most trusted glaziers. 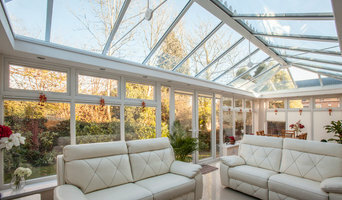 If you are considering having a conservatory or orangery installed in your home, or wish to update your existing windows and doors to a more stylish product, choose Astons Conservatories, Windows and Doors for a premium service. We will visit your home in Cardiff and South and East Wales and consult with you on your needs before giving you a quotation for our bespoke installations – all for free. We offer free quotes on all new windows and doors, plus an extensive range or repair services available to you, all with a friendly honest service. Based in Tredegar , South Wales UK Since 1998 . Discovery Glass has built a solid reputation for high quality glass products & services to both the public & Trade companies . Some of the products we manufacture & supply are . . . . . #Splashbacks (Glass) #Sandblast Glass #Engraved Glass #Mirrors #Framed prints #Balustrade (LED-LIT & Engraved) #Bathroom Wall Cladding (Glass) #Bespoke #Designs #Free #Quotes #Glass #Worktops #Office #Interiors #Glassware & #GlassAwards #Crystal #Misted #GlassRepairs #B2B If its quality glass you`re looking for contact us Today - 01495 717500 - for a Free , Friendly informal chat . If you are a Trade customer - #Kitchens #Bedrooms #Bathrooms #OfficeFitouts in particular - and are looking for a reliable , competitive supplier who take price in their work , then we would love to hear from you . MPN Windows installs the highest quality windows, doors, conservatories and orangeries using only the finest quality materials and installed by time served craftsmen. 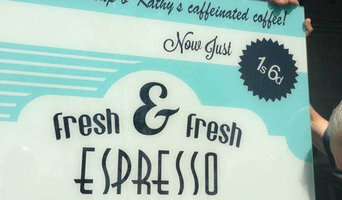 We truly believe that our range of products are second to none. We have over 25 years’ experience, and have one of the largest customer bases in South Wales and South West England because of the quality of our products, installation and customer service. We offer an unwavering commitment to customer service excellence together with our highly skilled craftsmen who install our products to our customers. Formed in 1992, we’re renowned in Bristol, Weston Super Mare and surrounding areas for providing a professional & reliable double glazing and central heating repairs service. With over 25 years of experience in the industry. We have a high level of expertise in resolving breakdown and maintenance issues. This is why our service focuses on two areas – annual maintenance and emergency call-outs. Reflective Shine specialise in cleaning and renovating the exterior surfaces of buildings and surroundings across the south-west including Weston-super-Mare, Nailsea, and Portishead. We provide our services to schools, factories, shops, building sites and more. Heronhurst Window and Door Centres is a local family run business founded in 1982 by Brian and Cynthia Stuckey with an ethos of selling the highest quality windows and doors, installed well, for an honest price. Heronhurst is now managed by second generation members of the Stuckey family, brother and sister team Karl and Emma Stuckey who work day to day with their close-knit team to ensure these essential core values to maintained and developed, so that Heronhurst is the go-to window and door company you can trust. Part of The Performance Group of Companies; we are dealers and fabricators of aluminium windows and doors based in South Wales. Offering Schueco, Kawneer and Smarts System products. Our sister company, TPC Glazing Ltd, operates nationwide and have been involved with numerous multi-million pound commercial installation projects. With our widespread expertise and experience, we are able to offer either supply only or supply and installation, therefore making the experience as simple as possible for our customers. Top glaziers in Cardiff, Wright Glass (Cardiff) Ltd are a professional family run glazing company with 30 years experience in the trade. We are a FENSA and Fairtrades registered business and we provide insurance backed guarantees on all new installations in line with current legislation. We operate across the South Wales area servicing the general public, trade customers and commercial sector. The services we provide include the supply/installation of PVCu and aluminium windows, doors, conservatories and the repair and maintainence of double glazed products and the supply and installation of mirrors and glass. We can also install secondary glazing for customers who wish to maintain the authentic look of timber sash windows. We have our premises at Unit 4 St Catherine’s Park, Pengam Road, where we cut glass and take processed glass orders, we also stock sundry items such as putty and silicones and door/window hardware. What can specialist window companies, glaziers or window fitters in Cardiff do for me? 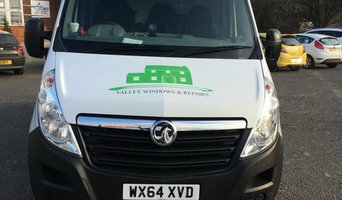 Specialist Cardiff window companies and fitters can diagnose problems and prescribe a choice of remedies, while keeping in mind factors such as the style of your property, ease of operation, budget, noise reduction, thermal efficiency (the lower the U-value, the better), durability and maintenance. It is a balancing act that only a glaziers can deftly strike. Most Cardiff window companies will be able to take care of both supplying and fitting your new or replacement windows, but if you have already purchased your windows from a window manufacturers then you can find a Cardiff fitter to just take care of the installation. Where can I find the best choice of Cardiff window manufacturers and window installers? Right here on Houzz. Look for Cardiff Windows & Double Glazing professionals in the Find a Pro category and then save images of window styles you love in an Ideabook. Take time to look through each window company’s profile and get a sense of where their strengths and specialisms lie. Make sure your window manufacturers’ work comes with accreditation: whether from FENSA (Fenestration Self-Assessment Scheme), FMB (Federation of Master Builders) or TrustMark. Find window companies and glaziers on Houzz. 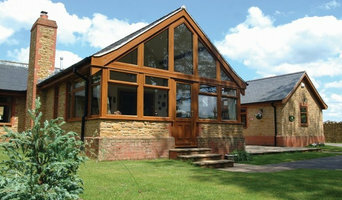 Narrow your search in the Professionals section of the website to Cardiff window companies. You can also look through Cardiff photos by style to find new and replacement windows you like, then contact the glaziers, window manufacturers or companies who installed them.